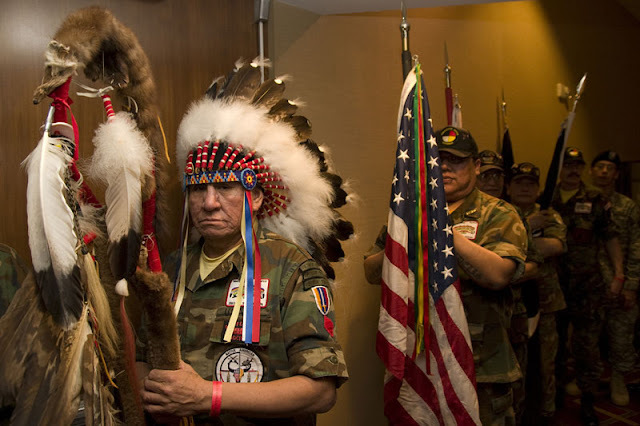 Native Americans have served in the U.S. military since the American Revolution, long before they were allowed citizenship, and by percentage serve more than any other ethnic group in the armed forces. In a special Smithsonian National Museum of the American Indian program, Native veterans shared their heroic and unforgettable stories of service in conflicts, and noted scholar and author Herman J. Viola, curator emeritus at the Smithsonian Institution, chronicles the roles of Native soldiers from 1770 to the present, including tales of tragedy, humor, loyalty, and conflict. 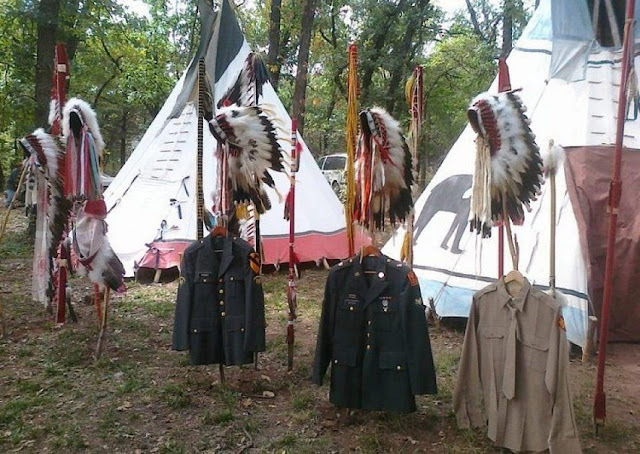 The program featured a panel of American Indians who have served our country in the armed forces, including Debra Kay Mooney, Choctaw, an Iraq War veteran who organized and hosted a pow wow in a war zone in Iraq in 2004; Chuck Boers, Lipan Apache/Cherokee, an Iraq War veteran and the recipient of two Bronze Star and three Purple Heart medals; John Emhoolah, Kiowa, a Korean War Veteran who joined the Oklahoma Thunderbird Division when he was still in high school and later helped lobby for the passage of the Native American Religious Freedom Act; and Joseph Medicine Crow, a World War II veteran who was awarded the Presidential Medal of Freedom in 2009 by President Barack Obama. Jason Giles—attorney, Marine Corps Captain, and tribal citizen of the Muscogee (Creek) Nation—moderated. 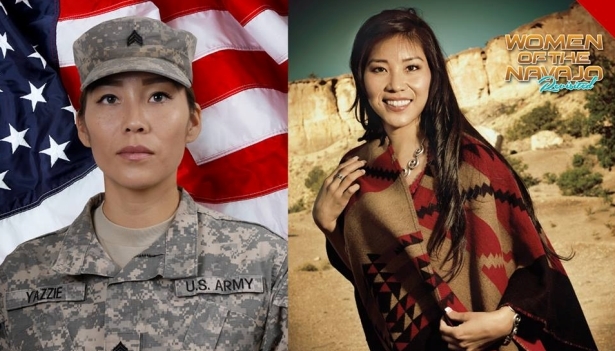 Responses to "Our Warrior Spirit: Native Americans in the U.S. Military (Documentary)"
I appreciate this Documentary. This is good information to have. Sometimes history does not change; "Nationwide". Ultimately, it is about our "Leadership" of our military system that decides the conditions of our service. This right here is a prime example of the good and the bad. Our nations reflection of our military system passes down from the top. Hopefully will include Confederate history under the leadership of Stand Watie.